The Tigray Peoples Liberation Front/ Ethiopian People’s Revolutionary Democratic Front (TPLF/ EPRDF) regime of Ethiopia is in a futile attempt to breathe life in to its dying regime. The regime is trying to do everything possible to restore their supremacy destabilised by popular struggle for freedom and democracy. Under auspices of the state of emergency, the regime’s armed forces assassinate, kidnap and mistreat innocent civilians. In an aim to divert the attention of the peoples from the current crises in the country and deter them from continuing wide spread protests, the regime is trying to sow seeds of mistrust among century long lived brotherly nations. It is in our recent memory that the TPLF/ EPRDF has instigated conflict between Oromo and Ogaden Somalis that costed many lives and displaced a million from both sides. The TPLF/ EPRDF regime committed and will continue to commit such heinous crime against humanity on a regular basis. 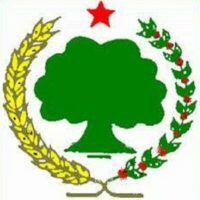 The Afar Liberation Front Party (ALFP) and Oromo Liberation Front (OLF) noted the recent attempt of the EPRDF force camouflaging itself in eastern and northeast border between Oromia and Afar regions in attacking peaceful civilians on both sides. This recent act of TPLF/EPRDF that was witnessed by local peoples is a direct replica of the drama which they were playing to instigate war among other nations and nationalities throughout the country. Ethiopian regime has been doing every means possible to divide nations and nationalities in Ethiopia to weaken their liberation struggle for freedom, peace and democracy. To execute its diabolical objectives it is using all means to divide and rule. 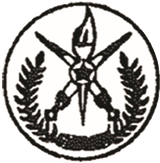 Both ALFP and OLF strongly condemn and vigorously fight all fiendish attempts that target the unity of both peoples. Both organizations reaffirm their commitment to fight any tendency that weakens both people’s unity. Hence, the ALFP and OLF want to make the Afar, Oromo and other peoples of Ethiopia to be aware of the intended evil plan of TPLF/EPRDF regime. This dying regime is desperate that it cannot refrain itself from doing all kinds of crime to stay in power. We ask the international community to a pressure upon TPLF/EPRDF regime instead of replicating conflicts to find all-inclusive solution that enable the empowerment of peoples. Finally, we call the Afar, the Oromo and other peoples of Ethiopia to be vigilant and cooperate in solving peacefully any conflict that the TPLF/EPRDF instigates among them. We also call all political organisations to play a major role in making peoples aware of these anti-brotherly relations of TPLF and struggle in unison to remove this brutal regime from power.